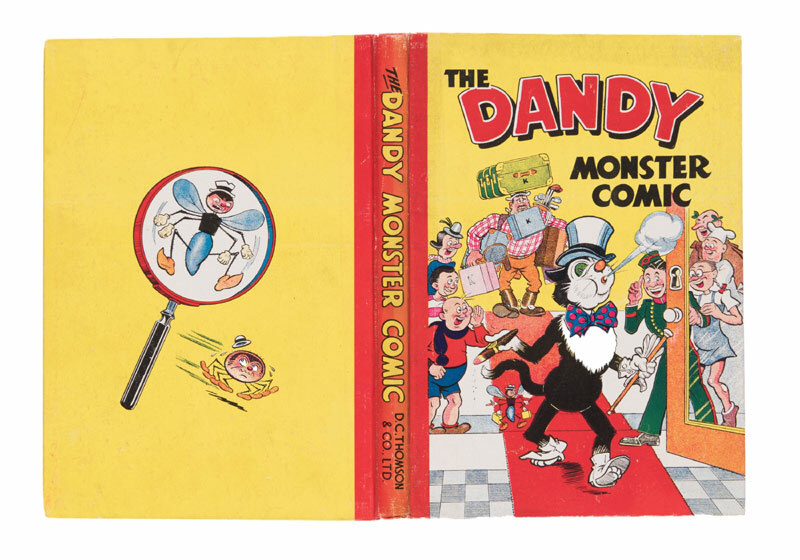 Two very high grade Dandy Books from the Brenda Butler archive reached £5000 and £2550 respectively. 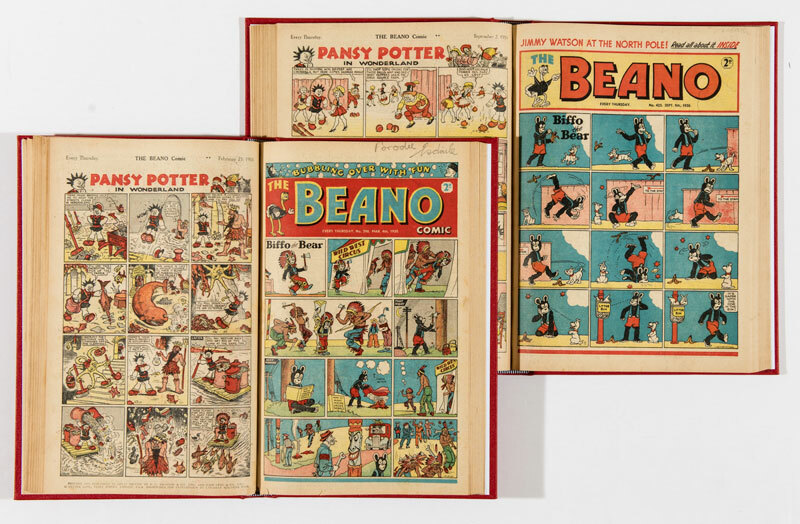 These annuals were original ‘library’ copies that were kept in DC Thomson’s main office in Meadowside, Dundee. There is a ‘John Leng & Co Ltd Dundee’ blind embossed stamp to each annual’s inner page and DC Thomson confirms that only these library copies were embossed in this way. Provenance and fresh condition is the cornerstone for keen collectors. 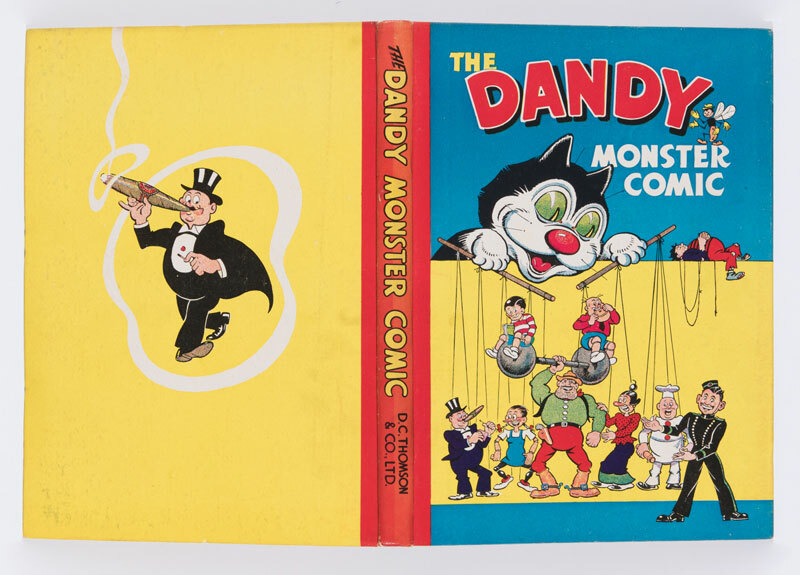 Another Brenda Butler high grade piece is this Dandy Monster Comic from 1948. From an estimate of £500-600 it raced to a record £1920 as two completist collectors battled it out for their key missing annual. 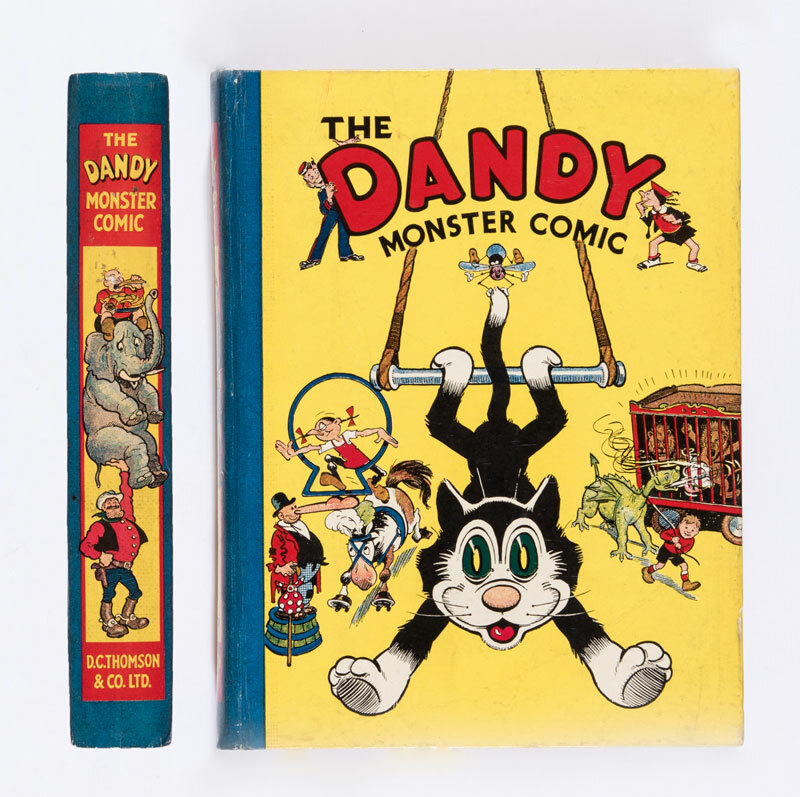 Also in the same grade as above, this 1949 Dandy book only made its low estimate £360 showing that the market price paid for high grade annuals can vary enormously. Our individual run of fresh condition early Beanos continues with prices generally ranging between £200-300 each. 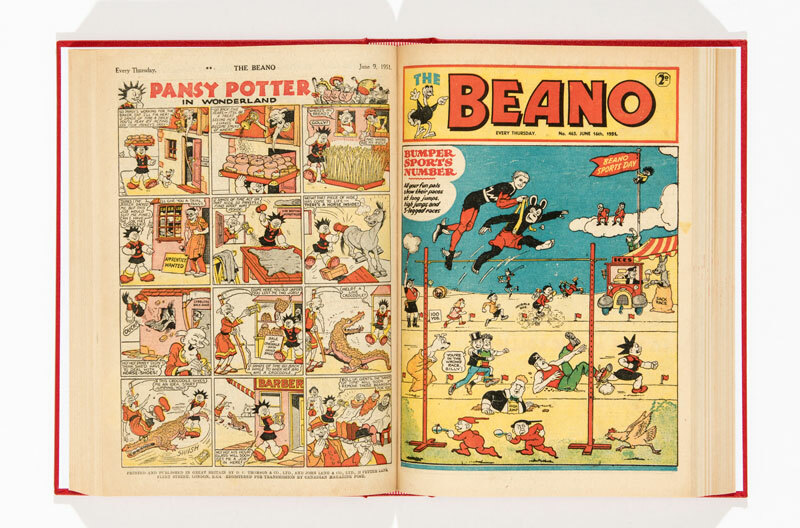 Beano No 108 was a typical propaganda war issue with an episode of Lord Snooty and His Pals captured by Hitler. It reached £380. 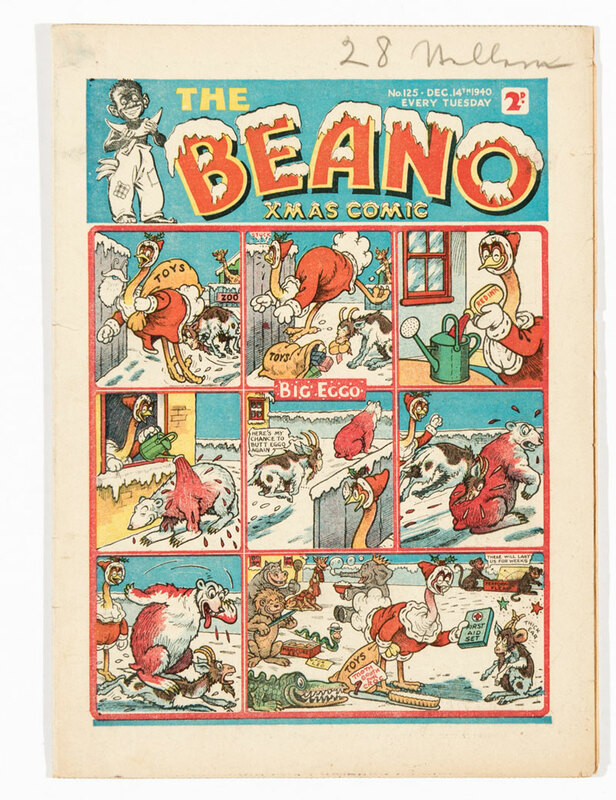 A fine copy of the Beano 125 Xmas comic from 1940 realised a strong £580 whilst No 127 with editor’s Christmas wishes to the top margin also had the first appearance in his own title of Musso The Wop by Sam Fair. £450 was dictated. 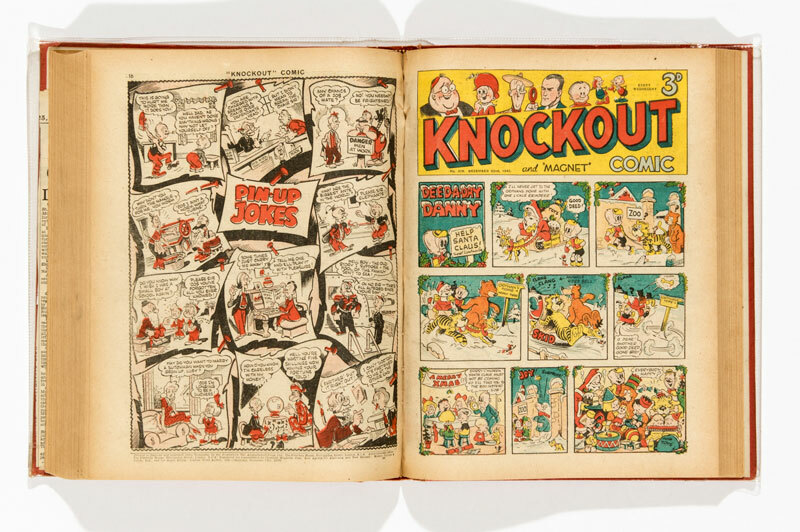 A bound volume of Knockout (June 1945 - Mar 1946) made a double high estimate £430. Three further years made the same progress. 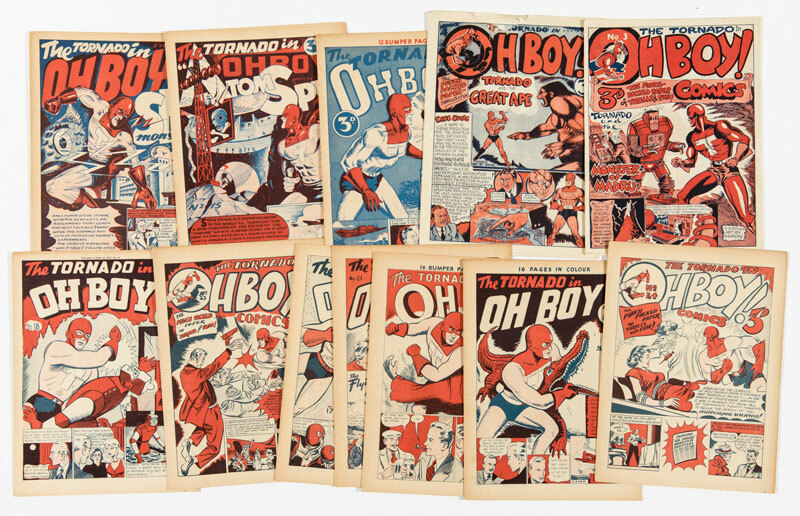 From the Bob Monkhouse archive here were 11 issues from 1948 where Bob had not only written all the Tornado and Stupaman stories but illustrated and lettered them as well. A rare opus for £380. 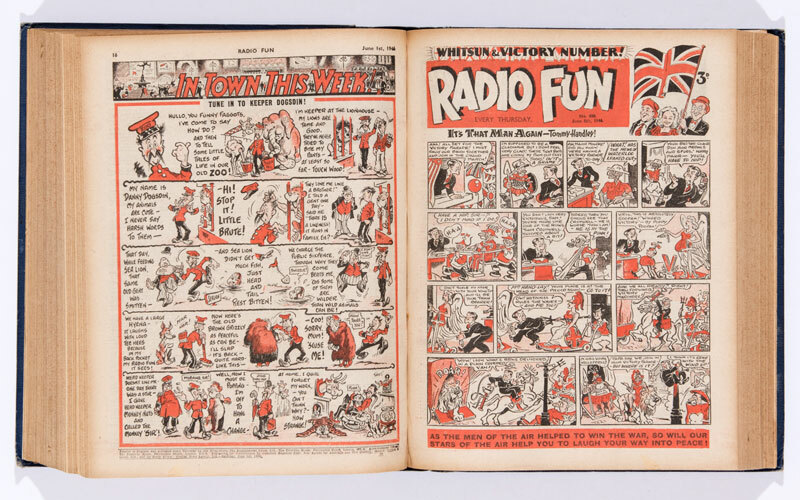 With fly page stamp ‘From the studio of Bob Monkhouse’ this 74 issue bound volume of Radio Fun from 1945-46 tipped the scales at £360. 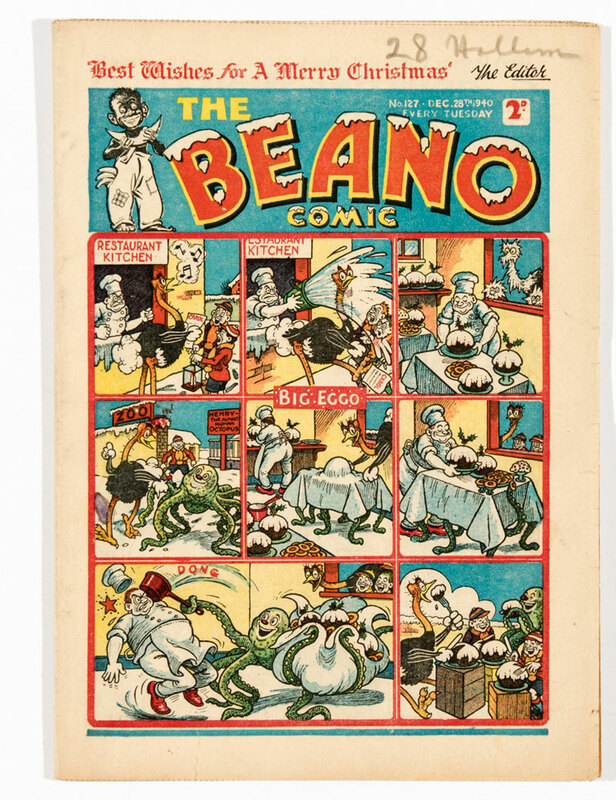 The complete Beano year of 1950 included the rare Desperate Dan cross-over on the cover of No 390 and garnered £820. 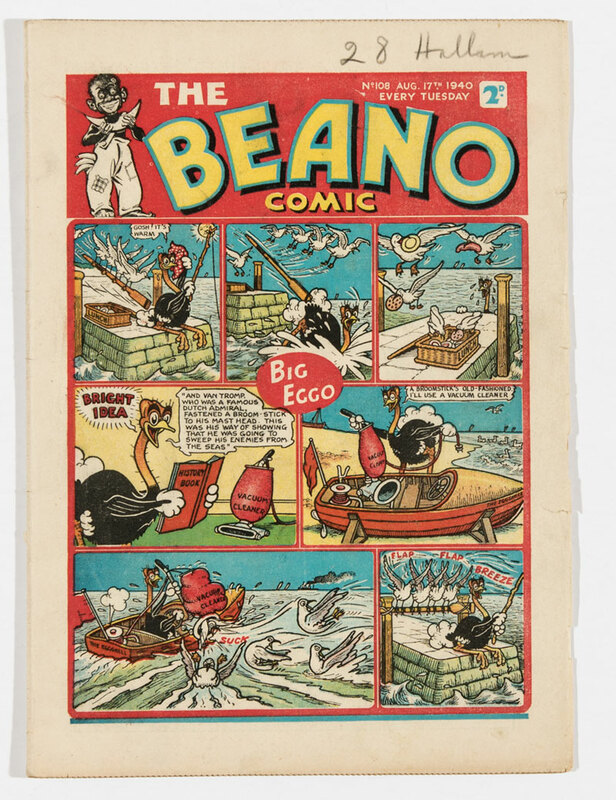 The Beanos from 1951 went even further to £1180 and issue 452’s first appearance of Dennis The Menace certainly helped. 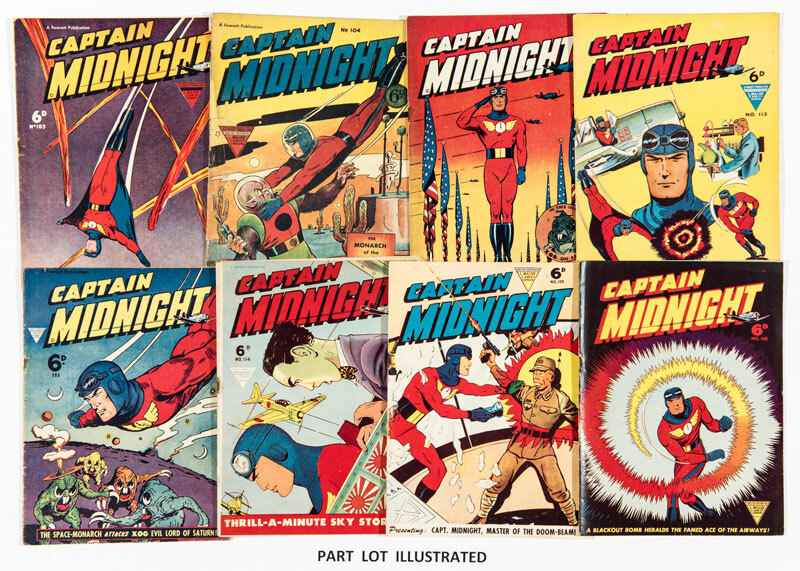 A very nice run of Captain Midnight 100-121 reprinted the 1940s wartime strips where the Cap defeated the Japanese army and air force on a weekly basis. £210 won the this particular skirmish. 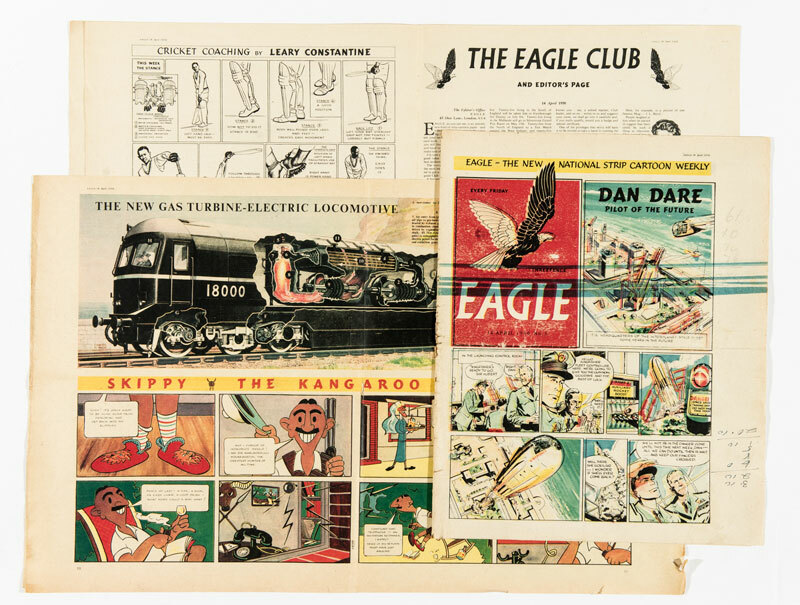 This Eagle No 1 is a particularly rare bird as it was a printer’s proof copy to check registration and colour balance. 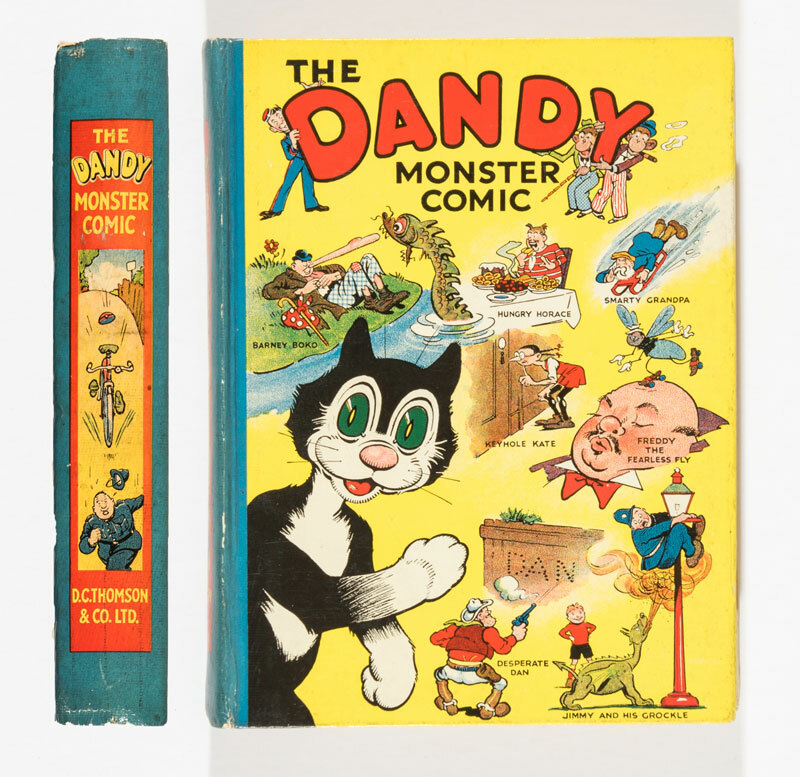 Worn and untrimmed with roller marks and cost notes to the cover margin it certainly shaped up to £620. 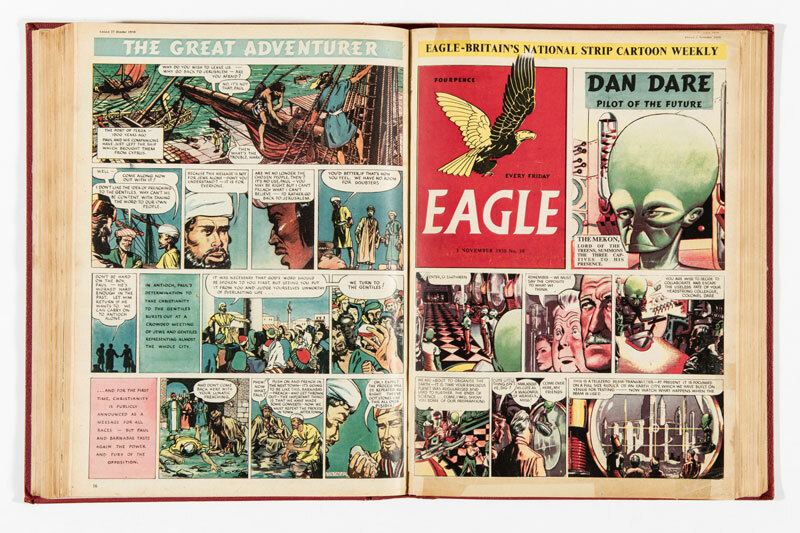 The bound volume of The Eagle’s first 52 issue year went way over estimate at £900. 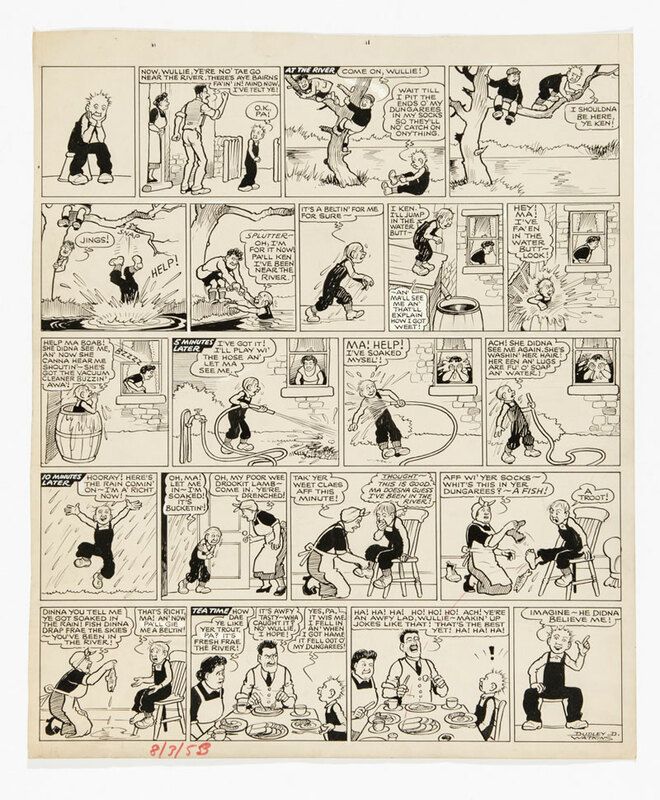 Oor Wullie’s original artwork from 1953 had the wee lad fallin’ in the river, catchin’ a troot in his dungarees which pa had for dinner thus releasing him from a beltin’. £430 was no punishment either. 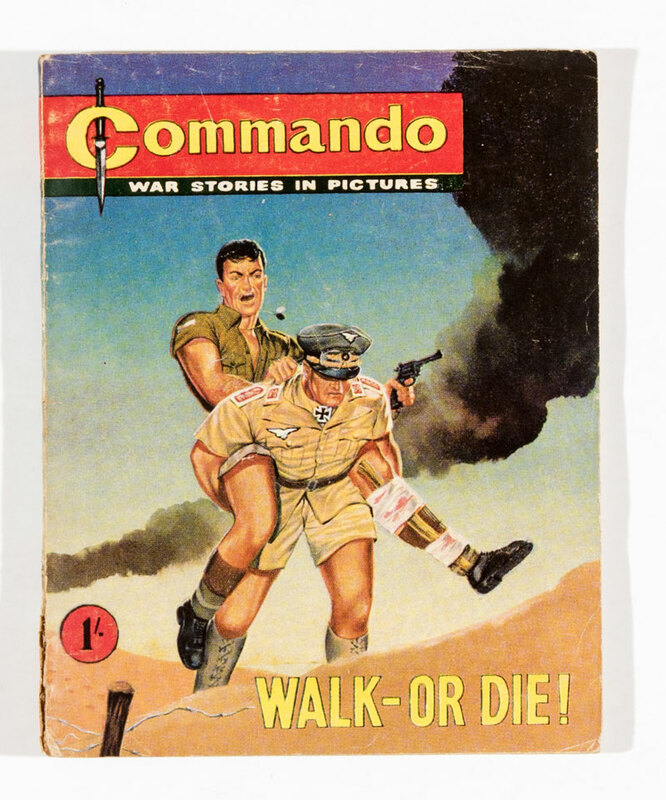 Commando No 1 commandeered £410, the lower end of its estimate and several other early issues were unsold by the auction’s close but snapped up in after hours sales within 24 hours. 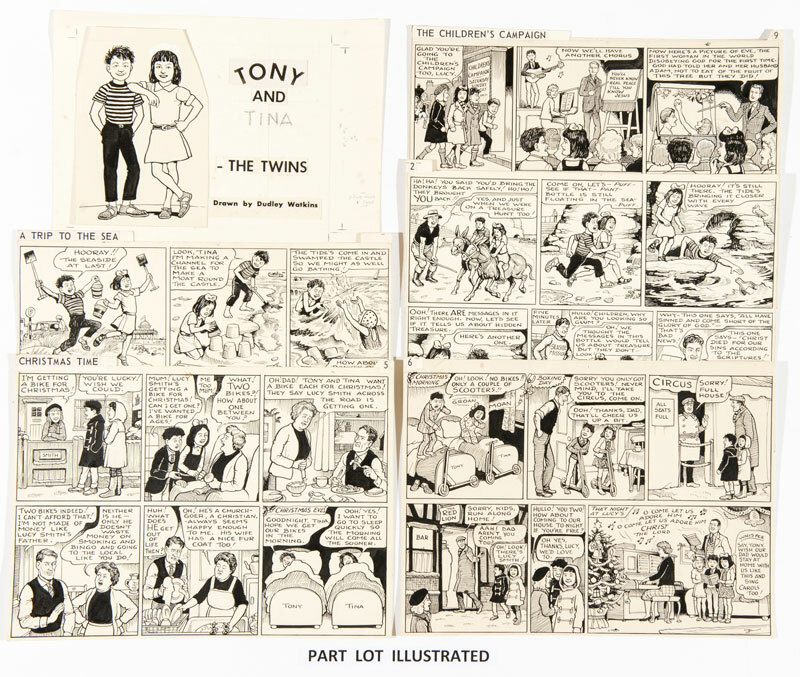 Dudley Watkins illustrated the religious stories of twins Tony and Tina for the WEC International charity in 1967 and whilst not reaching the heady prices of Dandy and Beano Watkins characters, 33 half page artworks were sold for £620. A further run is consigned in our September auction. 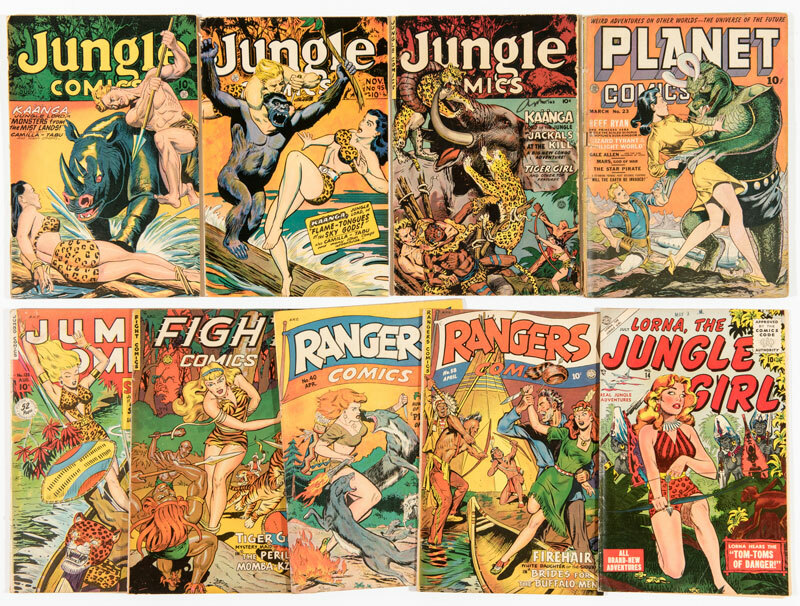 Nine issues of Fiction House titles including Lorna the Jungle Girl realised £155. Good price for good-girl art. 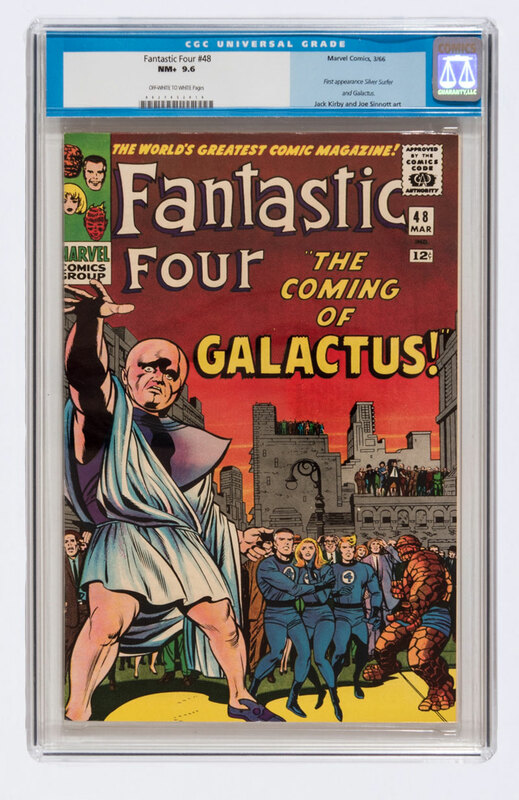 Fantastic Four 48 from 1966 CGCd at 9.6 did not disappoint at £1920. 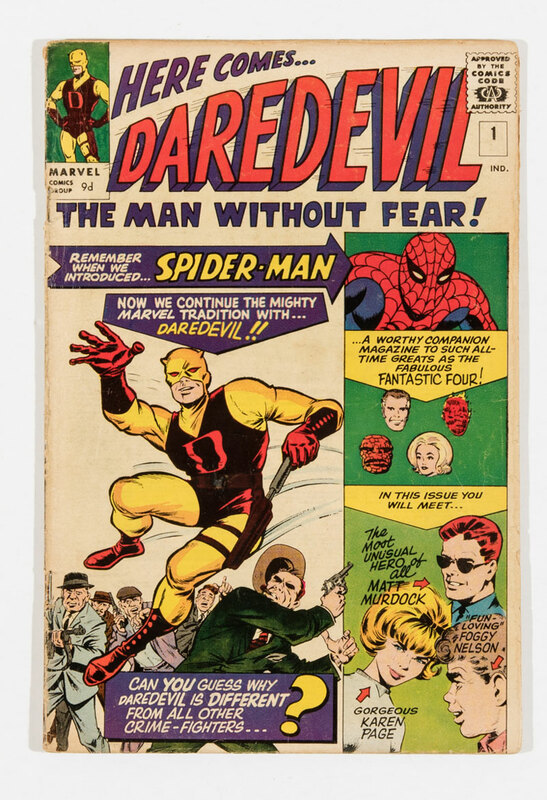 Daredevil 1 pence copy [gd+] hotly contested to £420. Lower grade keys always attract multiple bids. 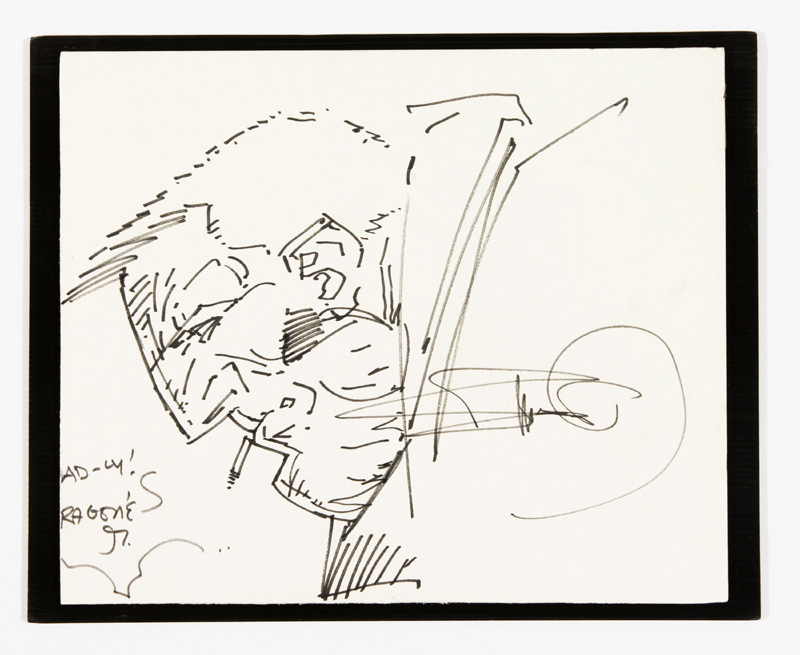 An original sketch by Frank Miller made £225. It was drawn at the Wizard World Chicago Con in the late 1990s. I’m sure you’ll all remember when Superman finally got married and Spider-Man’s inverted kiss with Mary Jane. Well my girl-friend, Sali has a wonderful daughter called Emma who’s getting married next year. She has just asked me to walk her down the aisle and I’m as proud as punch. The only problem is which cosplay costume shall I wear? The Supes, The Spidey, Xena: Warrior Princess? Answers on a postcard, please.